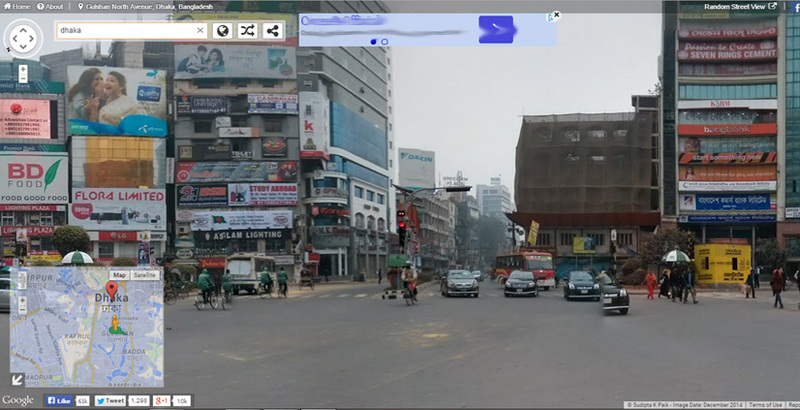 Google Street View project of Bangladesh was inaugurated back in November, 2012. With the help of Team Google, a volunteer group Mapping Bangladesh also known as Citizen Cartographers and a weird looking ‘robotic’ SUV fitted with a football like camera made it possible to enjoy the beauty of Bangladesh through the lens of Google. For those who are wondering what is Google Street View, well, it is a technology featured in Google Maps and Google Earth that provides panoramic views from positions along many streets in the world. Right now, users can only enjoy street viewing of Dhaka, Chittagong and Chittagong Highway; however, according to the chief executive manager of Mapping Bangladesh, they will soon cover the other divisions followed by the remaining districts. Visit: http://www.instantstreetview.com for travelling Bangladesh! Google Street View was first launched in 2007 in several cities in the United States, and has since expanded to include cities and rural areas worldwide.